If you want to swallow three tablets every day, spend a ton of money for a one-month supply of prenatal vitamins, and get nearly zero health benefits for you or your baby, then Realfood Organics Prenatal vitamin is for you. After analyzing the ingredients of this prenatal vitamin, I rated it a 2/5, which is probably being a little gracious even. Mainly I found these prenatal vitamins to be lacking many of the vitamins and nutrients that doctors recommend when you’re pregnant. 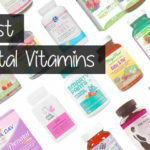 Most pregnant women take these vitamins as a way to ensure that they’re getting all the nutrients they need that they may not be getting from their diet. And when a prenatal is missing many of these, it’s probably not a product worth using– especially when there’s so many better options available. Some aspects of Realfood Organics Prenatal vitamins are really easy to use, and others prove to be slightly challenging. You can take the prenatal with or without food, which was really nice, and I didn’t experience any stomach discomfort after taking them. They are also really easy pills to swallow, which is surprising considering their dry coating. However, it’s a little over the top to have to swallow three tablets every morning. I’m not sure I’ve ever taken a vitamin, prenatal or not, that requires that many daily pills, so that doesn’t feel super user-friendly to me! 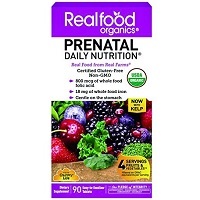 Since these prenatals are tablets versus a vitamin you chew or a liquid vitamin, Realfood Organics Prenatal vitamins don’t really have a taste. I think we all know what an average vitamin tastes like before you swallow it, and that’s exactly what these taste like, too. Also, I didn’t experience any weird aftertaste once I had swallowed them, or any nasty burps throughout the day, so I can confidently say these are tasteless and wouldn’t bother anybody. As a prenatal vitamin that markets itself as “real food from real farms,” I was super intrigued to see how Realfood Organics Prenatal vitamins would stack up against other prenatal vitamins on the market. After analyzing the ingredient list, I found that these prenatal vitamins donlt do a very good job at including the proper ingredients for a healthy pregnancy. Before jumping into the full analysis of the ingredients, I wanted to point out that Realfood Organics Prenatal vitamins contain 800 mcg of Folate, which is the recommended amount according to most doctors. In addition to being the correct dosage, it’s also in the form of Folate, which a lot of pregnant mamas need, so this is one mark in the positive column for this prenatal vitamin. Some additional positives related to the ingredient list of this prenatal vitamin is that they have the right amount of Vitamin A, Thiamin-B1, Riboflavin-B2, Niacin-B3, Vitamin B6, Biotin, Vitamin B12, and Vitamin E.
Unfortunately, that’s where the positives regarding Realfood Organics prenatal vitamin end. When it comes to the negative aspects about this prenatal vitamin, Realfood Organics vitamins are slightly low in Vitamin C and Vitamin D, are extremely low in Calcium, Iodine, and Iron, and are completely lacking Vitamin K, Zinc, Choline, or additional Omega-3s. 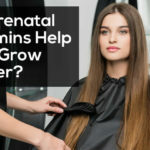 For example, Zinc plays a role in healthy brain development and function, Vitamin K is connected to the formation of the baby’s skeletal, cranial, and tooth formation, and Iodine is not easily found in foods but is crucial for both mother and baby during pregnancy. For a prenatal vitamin that requires taking three tablets, you would think they’d have the perfect amount of every necessary ingredient, but that simply isn’t the case. I didn’t experience any negative side effects while taking this vitamin, so that’s a nice positive! In my opinion, Realfood Organics Prenatal Vitamins are not worth the money. They’re extremely expensive for a one-month supply, and they’re lacking in many of the necessary ingredients hat may be needed during pregnancy. Realfood Organics sell their vitamins on third-party websites and health stores, such as Amazon and Vitacost. The return policy for these vitamins is dependent on the individual retailer where you purchase the vitamins from, so make sure you investigate their return policy before purchasing! To buy Realfood Organics Prenatal, click here. Ease of Use Take three tablets daily. Can be taken at anytime, with or without food. Tablets are relatively easy to swallow.